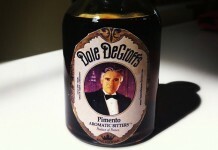 We often take them for granted, but bitters are an essential building block in many cocktails. They are the elements that help bind the sweet and the strong, and elevate it into the delicious and complex cocktails that we know and love. In the classic Sazerac, Peychaud’s bitters helps bring a light, floral, warmth and brightness to the equation while at the same time pulling together the anise flavors of the absinthe rinse (or Herbisant, which we prefer) with the spicy rye in the whiskey and sweetness of the sugar. 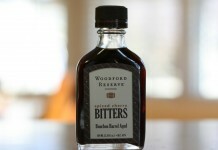 While many cocktails call for either Angostura, Peychaud’s, or orange bitters, adding or subbing in one of the many new and interesting bitter flavors can have a dramatic and sometimes exceptional impact on the drink. For the Sriracha Sazerac, Alan Akwai, Bar Manager at Wafu in Portland, Oregon, added Brooklyn Hemispherical Sriracha Bitters to the mix and took an amazing classic cocktail and gave it a unique new expression that is simply amazing. Rince glass with Herbisant (seriously, it’s much more balanced than using absinthe), discard Herbisant. Stir ingredients over ice and strain. Serve neat in a tumbler with zest of lemon on top. Discard lemon zest after zesting. 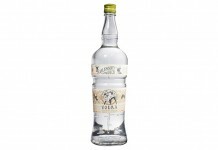 We don’t feature a lot of cocktails on Drink Spirits, and so for one like this to get a moment in the sun, it has to be spectacular. The Sriracha Sazerac is spectacular. The spiciness of the sriracha supports the spicy from the rye, while at the same time combining with the sugar brings out the fruiter notes in the rye whiskey. It also pulls the anise flavors from the Herbisant into the mix in a way where everything comes together. It’s a spicy drink but not unbearably so, and it takes the classic Sazerac and tips it into a new and fascinating direction. 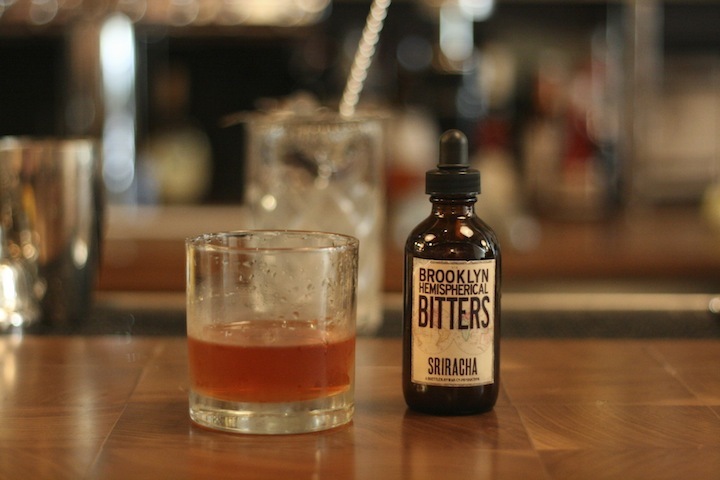 The Brooklyn Hemispherical Bitters are top notch and they are spirit based, rather than using glycerine or other non-spirit base. This is important here as it doesn’t impact the texture of this drink, which is exceptionally important. They currently offer meyer lemon, black mission fig, strawberry rhubarb, and the sriracha bitters, each of which can help transform classic drinks into new expressions.